TALK: This program is great not just for organizations but for every individual and their family. The concepts covered in this presentation will fundamentally change how individuals communicate with one another and how they deal with interpersonal conflict. The primary goals will be to develop awareness regarding the tremendous impact of mindset on organizational behavior change and performance. Also, to provide leaders with mindset change tools to improve trust, engagement, communication and innovation within their team and organization. 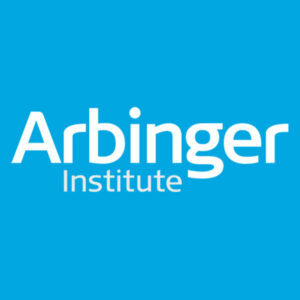 Arbinger will facilitate its proprietary training course “Developing an Outward Mindset”. Arbinger’s Developing an Outward Mindset program is designed to deepen participants’ individual self-awareness regarding their own mindsets—specifically the degree to which they are operating with a self-focused inward mindset or an others-inclusive outward mindset. Participants learn the differences between these two mindsets and learn how to identify when they are operating from each mindset. They also learn how and when they switch from operating with an outward mindset to operating with an inward mindset. They become aware of their dominant inward-mindset styles in the workplace and how those styles provoke others to respond to them. They learn how to chart their impact on others. Having become aware of how and when their mindsets turn inward and the negative impact this has on themselves and others in the workplace, participants then learn how to turn back to an outward mindset, improve their interpersonal and leadership effectiveness, and enhance their impact on and collaboration with others. BIO: Arbinger Author Facilitator (Mitch Warner or Jim Ferrell). Arbinger was founded by the scholar who solved the problem at the heart of the human sciences: the paradox of self-deception. That unique work revealed two distinct mindsets from which people and organizations operate—a self-focused inward mindset and an others-inclusive outward mindset. Arbinger has a thirty-five-year record of successfully enabling organizations and their people to achieve the breakthrough results that are only possible with an outward mindset.